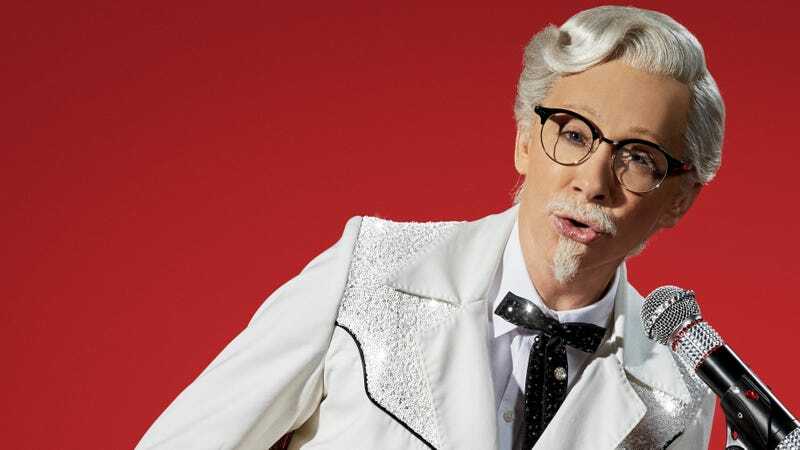 Reba McEntire as KFC’s newest Colonel Sanders deserves her place on Lady Mount Rushmore alongside Elizabeth Cady Stanton, Billie Jean King, Susan B. Anthony, and Law & Order: SVU detective Olivia Benson, all paragons of women’s achievements. It’s beautiful to think of future generations of girls who will have never lived in a time before there was a woman Colonel. They’ll never know the decades during which their foremothers were told that no, they couldn’t be astronauts, or chemists, or fried-chicken-chain mascots. The gravity of naming the chain’s first woman Colonel no doubt was top-of-mind as KFC execs pored over the many potential faces of their new Smoky Mountain BBQ flavor. That’s exactly the kind of empowering message impressionable girls in 2018 need to hear: Consume enough fried chicken during your childhood and you, too, could be paid to dress up in a Plantation-era costume to extoll the virtues of sweet-and-smoky chicken thighs. For their part, the men’s rights “activists” (read: message board enthusiasts) who’ve been hibernating in Twizzler-covered basements since the Ghostbusters reboot are probably now rousing from their slumber. Lady Colonel?, they’ll drool, flying into a rage, that’s unpossible! Get over it, neckbeards, it’s 2018 and women are playing superheroes, speaking truth to power, and stealing your fried-chicken-spokesperson jobs.